I didn’t grow up with fresh fruit popsicles. We either had those sugar bombs in the plastic wrap my mom kept in the freezer, or if we used our popsicle molds, my siblings and I filled them with (gulp!) Kool-aid. Or Tang! It was the 70s, and processed food wasn’t just a treat; it was a staple. Fast forward to today, and while it’s still a rite of passage to pass your hot and thirsty kids fruit-flavored popsicles, some things have changed. For the better. Healthy, homemade real fruit treats are too easy to prep to even consider the packaged stuff. And making them is a great summertime activity to enjoy with your kids. The healthy choice is truly an easy choice, even for busy parents (i.e., all parents). How easy? Blend fruit, coconut milk and for an extra touch of sweetness, agave. Pour in popsicle molds (BPA-free, of course) with bite sized fruit pieces. Freeze. Dig in. Slowly. Brain freeze is still a thing! Blend first 3 ingredients in a blender on high speed until smooth. 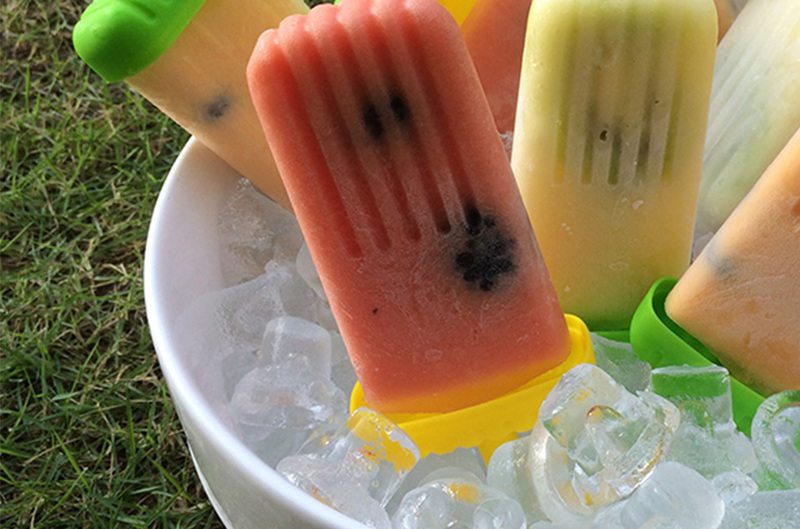 Place small fruit pieces in popsicle molds, then fill with fruit mixture. Freeze 4-5 hours or overnight until popsicles harden. A summer barbecue - these make the perfect dessert. 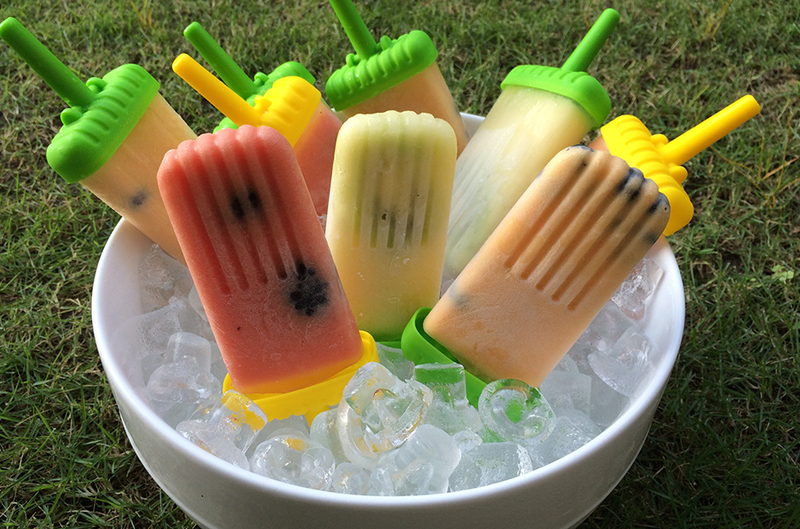 Regular coconut milk's higher fat content will make the popsicles more filling.